And now for today's lesson in rarely used English idioms: "beyond the pale." Basically, it means outside an acceptable bounds, such as my language and use of middle digits during rush hour traffic. Deplorable. Disgraceful. Disgusting. Like the driving actions of others that facilitate my own improper response during said rush hour. But where does this expression come from? Um, here's a pretty lengthy breakdown...something about stakes and Ireland and colonial resentment...I'll admit I stopped less than halfway through. 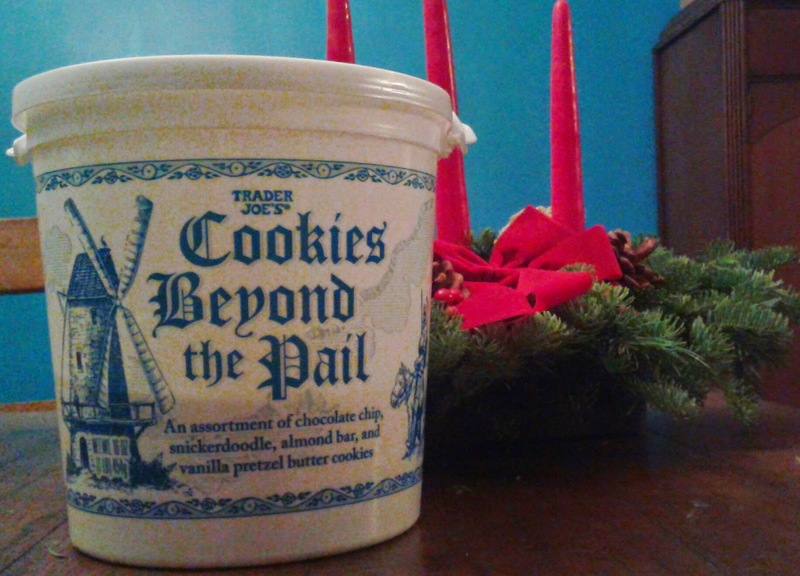 What the h-e-double-bendi-straw does that expression have to do with the naming of Trader Joe's Cookies Beyond the Pail? These aren't cookies gone wild or behaving badly. No bleeps. No blurs. Just some butter cookies hanging out in the bucket with a windmill on it. Yeah, fine, there's the "pail" they come in, and the chance to make a stupid pun (which I always appreciate), so perhaps we'll just to settle for that. Butter cookies are always everywhere this time of year, usually in fancy tins that I feel guilty about tossing but foolish for wanting to hang on. In lieu of festive decorative packaging, to get us all more in the spirit, focus more on the beautiful LL Bean table wreath my folks sent us a few days ago. At least Big Girl M is already excited about the prospect of having a "cookie bucket" to play with when we're all said and done, and it won't look all that ridiculous. 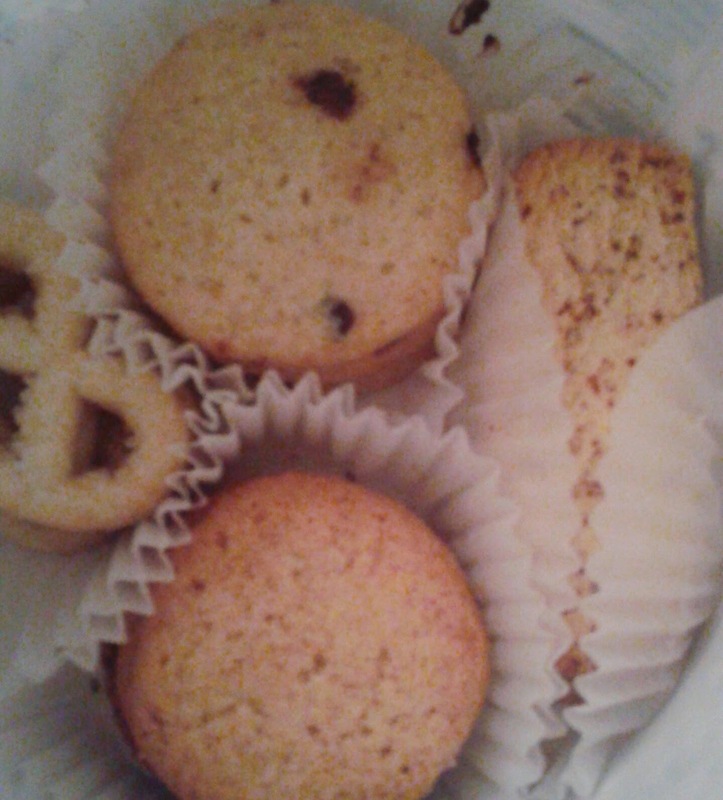 Packaging aside, there's four types of butter cookies here: pretzel shaped with vanilla-y crystals, snickerdoodles, almond bars, and chocolate chip. Each are pretty representative of the general butter cookie genre in their own right - good bite, crumbly, sugary, rich but not too much so, nothing too fancy but yet so satisfying. I prefer the vanilla pretzels the most, as they seem a little tougher and crunchier than the rest, but man, those almond bars practically melt...Not a huge fan of the chocolate chip ones, though. 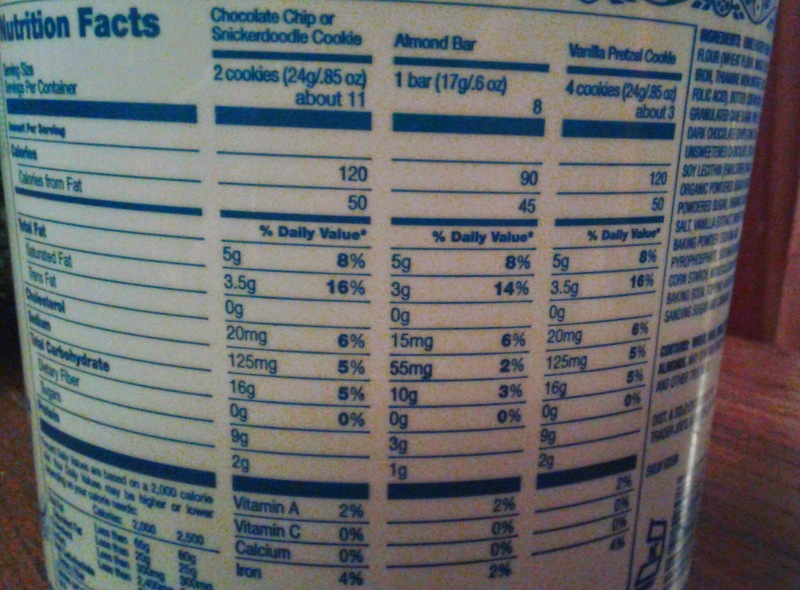 There's only a few chips in each cookie, and any chocolate flavor is so muted compared to the rest of the cookie that if I didn't see them, I wouldn't know they were there. The snickerdoodles could use a tad more cinnamon, too, in my opinion, but they're pretty decent as is. I'd rank them in this order of preference: vanilla pretzel, almond bars, snickerdoodles, chocolate chip. It's funny and probably very beneficial for the two of us that Sandy's list would go the complete opposite, so we can each focus on the cookies we like best. There's nothing too above and beyond about these nominally brash buttery bites, but man, we like them, and for the price (big bucket for like $4, cheaper than most!) they're definitely worth checking out. I wore a Christmas cookie bucket on my head for basically the entire second year of my life. I wouldn't leave the house without it.... You have been warned. Ahh memories. We always had the kind from the blue tin growing up. I can still taste those pretzel shaped ones! They are the best. Just finishing up my first pailful and hoping I can find them still in stock when I hit TJ's on the weekend. When I started the pretzels were my favorite but I have grown to love them all.